Please note HSS Holi occurred in past. 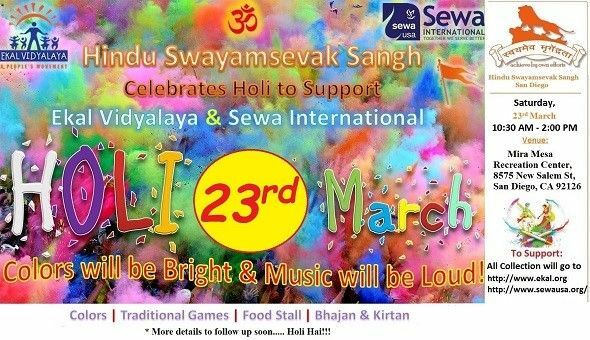 HSS San Diego invites you to join the HSS Holi 2019 Celebration along with friends and family. *Online ticket link will be available in weeks time. 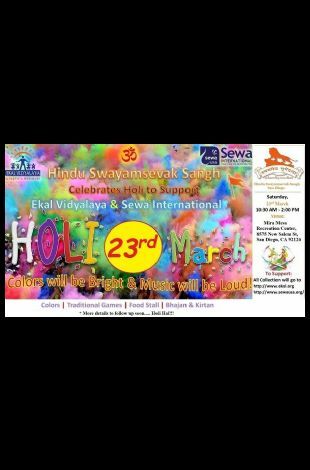 All collection of the event would be going for support of Ekal Vidyalaya (ekal.org) & Sewa International (sewausa.org).